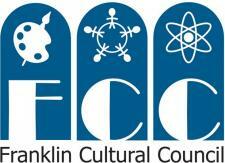 Franklin Downtown Partnership: Many More Thanks! Thank you to all of you who participated in this year's FDP Harvest Festival. Special thanks to all of our Sponsors and all our wonderful Volunteers. And to our Festival Chairs who made the event a huge success. Thank you Mary Graff and Jeanne Sherlock. We appreciate Dean Bank for donating and running the FDP food booth again this year and to Rockland Trust for letting use their parking lot for the Children's area . Thank you to all the local press for helping us advertise the festival. Special thanks to Franklin Localtownpages for once again designing and printing the Harvest Fest maps. We appreciate everyone who participated in making the event a success!